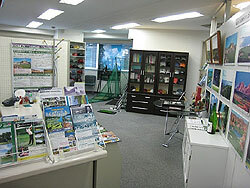 Jet and Sports is the leading and the largest golf tour operator in Japan. Since our foundation in 1986, we have been engaged only in golf tourism such as outbound golf travel, domestic golf travel and inbound golf travel in Japan. We have been keeping very intimate relations with the finest golf courses and exclusive private clubs in Japan for our domestic and incomming golf tours. Jet and Sports is a government approved travel agency (License No.1076) and an official member of Japan Association of Travel Agents(JATA). We are also a member of International Association of Golf Tour Operators (IAGTO). Our head office is located in central Tokyo, near world famous Ginza Avenue ( a few minutes walk ), and there are 15 specialists working for the company. 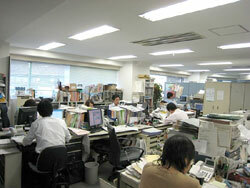 Please request quotations to us for your travel plans to a new and great golf destination, that is Japan. You can't mention sports in Japan without talking about golf. Japan is full of golf enthusiasts (more than 12 million golfers) and golf is the most popular sports which are actually played in Japan. Today there are over 2,400 golf courses in Japan, and many of them are of real international level, and are known widely for their beauty, high strategic characteristics and perfect course maintenance. The majority of Japanese courses are private, but except a few courses, always welcome visitors and, don't require handicap certificates. Golf is a global sports, however, play style in Japan is little different from its you are accostomed to, and we recommend you to read the page “Golf Style in Japan” in this site　for your understanding golf in Japan. Is playing golf in Japan expensive? Although it can be expensive, prices have come down significantly in the past 15 years in Japan. You also will have a merit of recent depreciation of Japanese yen. From the cost side, we are sure that Japan is one of the most attractive golf destinations in the world. When is the best time of the year to play golf in Japan? The climate of central Japan is generally mild. however, since Japan is an archipelago of islands stretching some 3,000 km from north to south,and weather depends greatly on where and when you will be travelling. The followings are the places and seasons good for golf play in Japan. Sapporo(Hokkaido) MAY. to OCT. JUN.JUL.AUG.SEP. JUN.JUL.AUG.SEP. There is only one official language spoken in Japan, which is of course Japanese. English is well understood in Japan since English is the foreign language that evryone must learn as part of our compulsory education. Many English words are also localized in to Japanese. We advise you to speak more slowly when you talk to Japanese. English is being used as a term in golf play in Japan too, however, there are some differences in the way of saying between Japan and West.